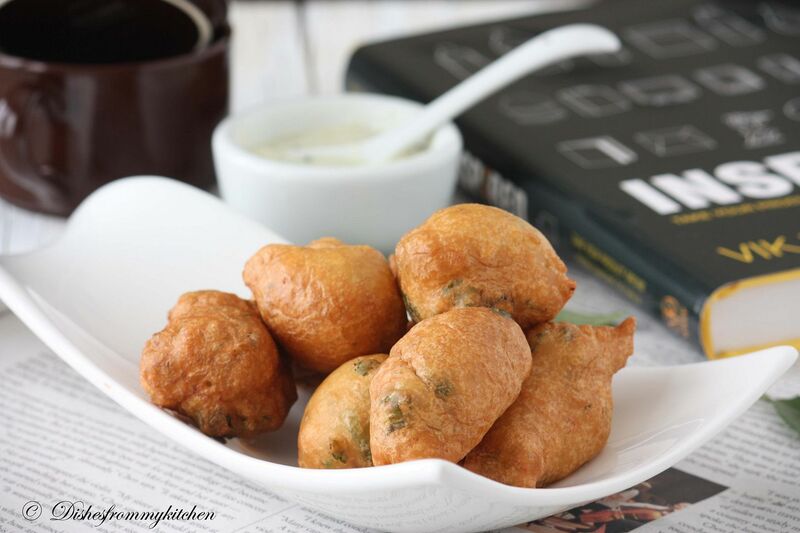 Dishesfrommykitchen: MANGALORE BAJJI / GOLIBAJE / MANGALORE BONDA / INDIAN HUSHPUPPIES - WONDERFUL TEA TIME SNACK !!!! 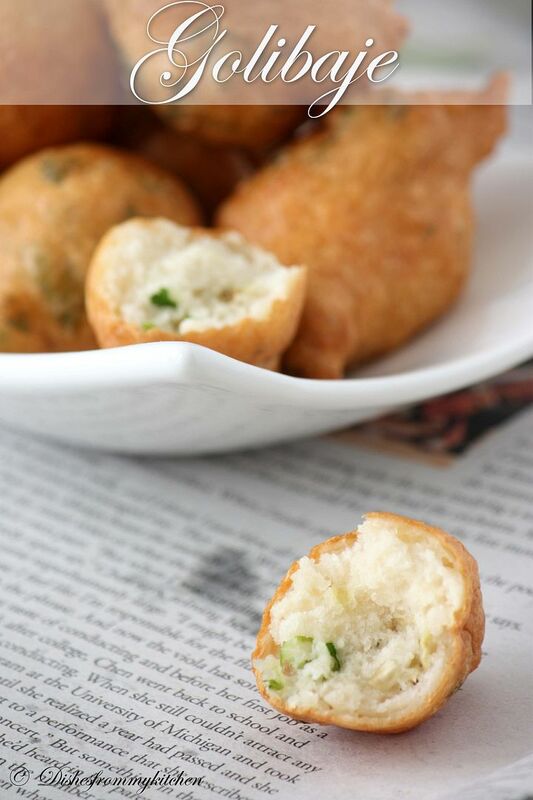 MANGALORE BAJJI / GOLIBAJE / MANGALORE BONDA / INDIAN HUSHPUPPIES - WONDERFUL TEA TIME SNACK !!!! 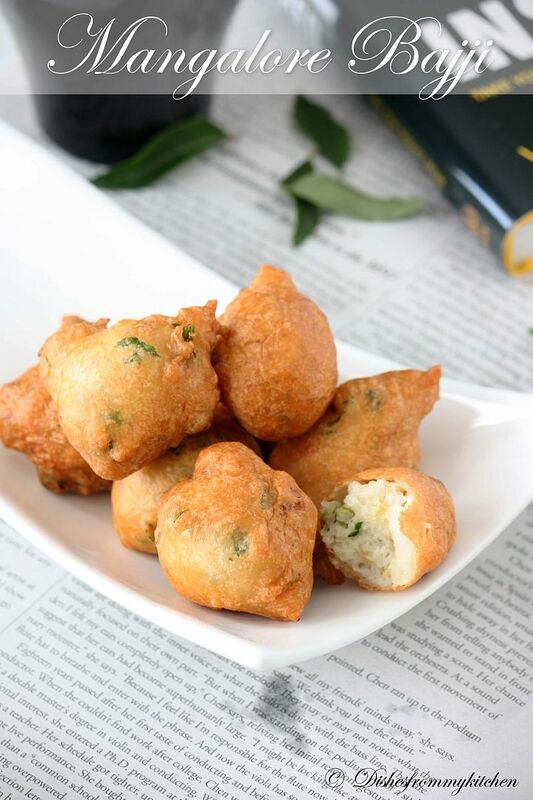 Mangalore Bajji, as it is referred to in Karnataka (Golibaje in South Canara), is a popular food made from maida, curd(yogurt), rice flour, chopped onion(optional), coriander leaves, coconut, jeera, green chillies, and salt. It is also called Golibaje in Tulu. Mangaloreans often eat this at tea time. 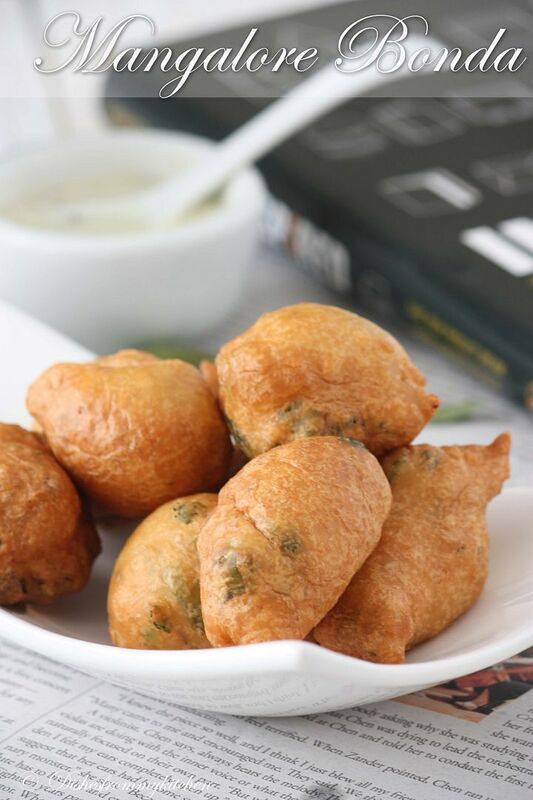 These bajji's are crispy outside and soft chewy inside. 1. Mix all the above flour, spices to thick/hard batter but in dropping consistency. 2. Keep aside for 15 to 20 minutes. 3. Parallely in the heavy bottom vessel heat the oil. 4. Now check the oil whether it is ready for frying, you can check just by dropping small ball in the oil, immediately if it comes up then it is ready. 5. Wet your fingers; take a small amount from the batter drop it in the oil, if the consistency is right, they by itself form beautiful balls. 6. Repeat the same for 4 to 5 at a time. Each time wet your fingers to make smooth ball. 7. Fry them to golden brown it just takes 2 to 3 minutes. 8. Serve hot with coconut chutney and enjoy your tea time. Mysore Bajji recipe seems a nice teatime snack.Useful recipe Dear.Yummm.Luv it. superyummy....lovely clicks....thnx for sharing such a nice recipe...wil try out soon !!!!!!! They look so perfect I can grab the whole platter. Looks like a perfect tea time snack Pavithra :) Lovely pictures. Wow they looks super inviting and delicious..fabulous click.. I remember seeing this in siri's place andhave been wanting to make it. Yours looks so yummy too that i wish i had some right now. Beautifully done and clicked Pavi.. I wonder how you have all these patience to set up and click pictures when you already spent so much time in making this.. :) I am used up of all my energy when I make something this difficult so would have already too tired to click..
Btw.. is this the same as mysore bonda? @ Krithi thanks :) Some people call this as mysore bonda as well. But Mysore bonda is made with medhu vada batter but in ball shape(Bonda shape). Mangalore bonda with coconut chutney will make my sunday so special back home pavi. Beautiful pics dear. 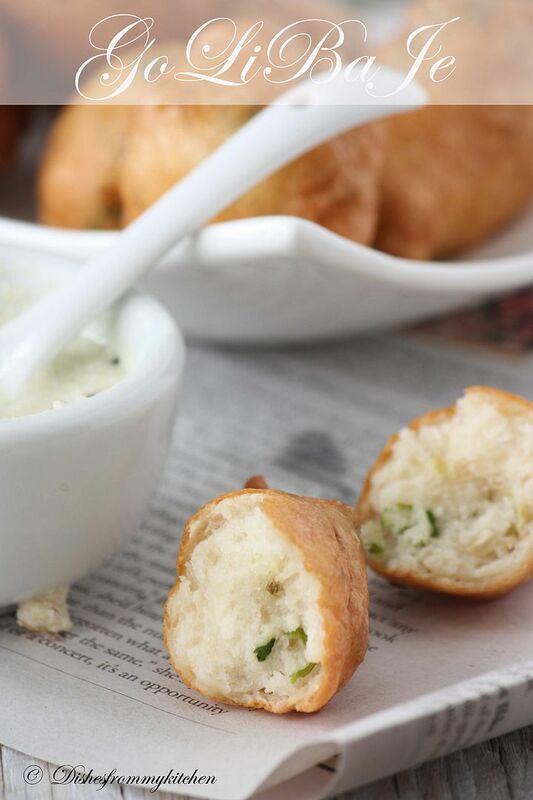 Yum yum, feel like grabbing some and having rite now,very addictive bondas.. I have tried this once,and totally loved it! You have made it so so perfect. perfect evening snack...yummy with coconut chutney!! Bhajis are looking very nice. Adding maida is new to me. Tempts me to try it. Lovely clicks. My daughter's fav,luv the spongy cakes,yep bondas.. Delicious tea time snack and as always beautiful presentation and pictures. Want to have a bite. simple bhajji looks gorgeous in your clicks. feel like grabbing one from the screen. 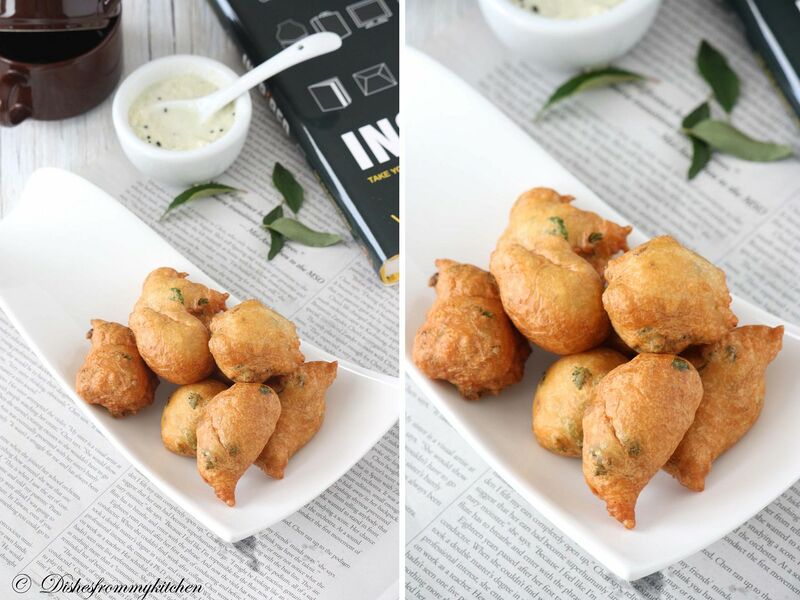 Bonda looks super delicious........lovely clicks! !